(Tulsa, Okla.) September 25, 2015 – BOK Center hit another monumental milestone this evening at the Florida Georgia Line concert. 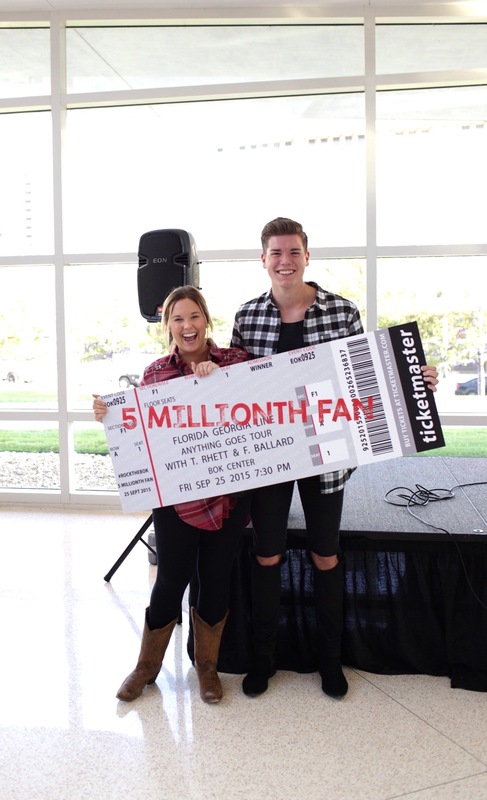 At around 6:05 PM, the five millionth fan walked through the doors and had their ticket scanned. That lucky person was Hunter Orcutt from Tulsa who was attending with the concert with her husband, Alan. Orcutt had her seats to the concert upgraded to the first row, she got to meet both Tyler Hubbard and Brian Kelley of Florida Georgia Line prior to the show and she received an assortment of other prizes. General Manager Jeff Nickler and Assistant General Manager Casey Sparks were present to meet Orcutt to congratulate her for being the winner. In addition to the celebration going on inside BOK Center on Friday night, there was also a commemoration to the milestone event displayed outside as well. 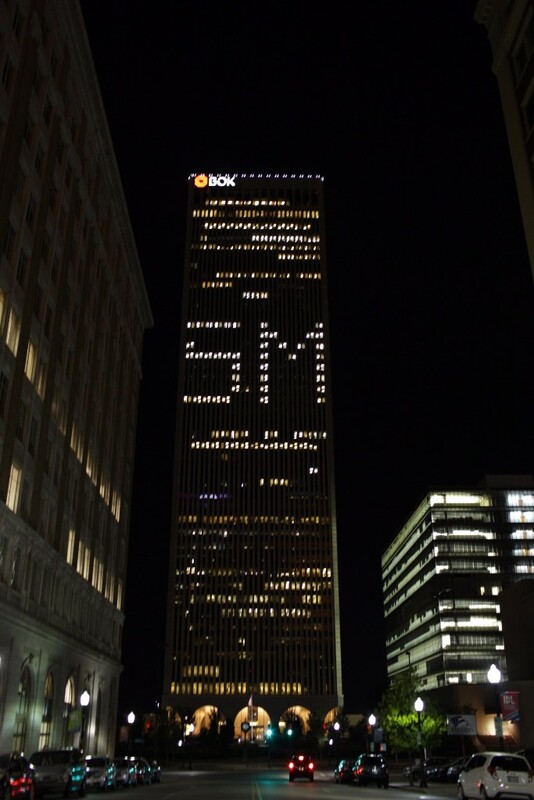 The BOK Tower in downtown proudly displayed “5M” in lights on the south side of the building for the evening. There was also a celebratory display of lights on the BOK Center plaza at the main entrance provided by Intergrity Lighting.